Wait, that's not right ... I am overjoyed with your gifts of a giant propagator and a garden labelling machine! That's more like it! Who wants perfume and bath salts and jewellery - personally, I welcome the gifts which keep on giving. Father Christmas knows me so well, he knew just what to bring me ! 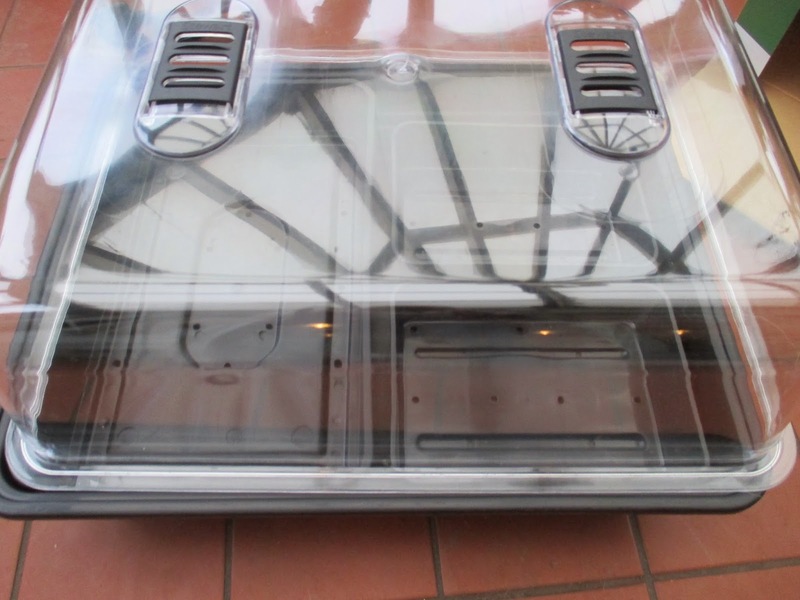 Now, who wouldn't be overjoyed at this beast of a propagator? I can get so many seeds in it at one time, I could propagate Kew Gardens if I so wished ! Just look at it, it has size, versatility and flexibility, and a plug. Only a few short weeks until I start cramming this bad boy with seed trays. I didn't even have to drop heavy hints about it, as it was a complete surprise. 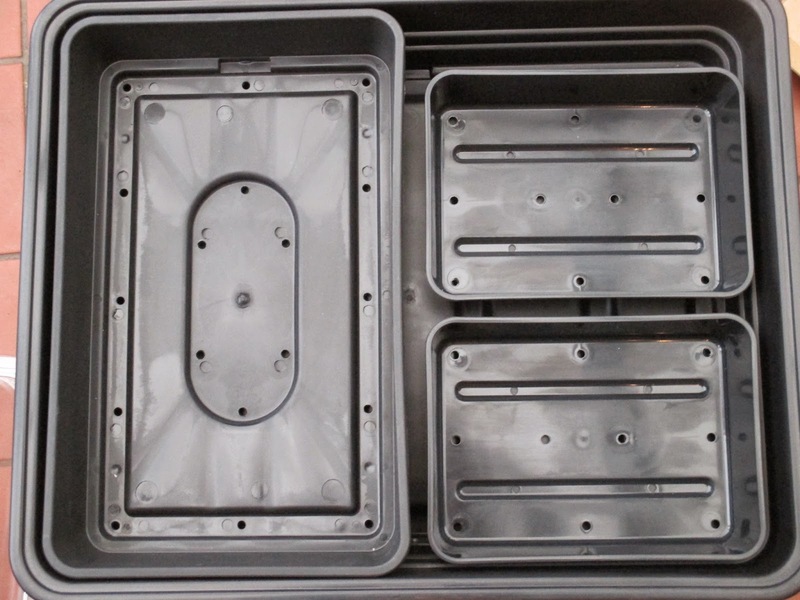 It is large enough to take a mixture of 2 large seed trays, 4 small ones, pots, or any combination of the afore-mentioned. I haven't quite worked out where I am going to put it yet, but that is a minor problem, soon resolved. It is a good job I now have an industrial sized propagator, as I have been writing the most important list of the year. Not the one for Father Christmas, but the list of all the seeds I want to grow this season. It is a landmark in the gardening year, and a very welcome one too. It involves much thumbing of catalogues, reading back in garden journals, and online browsing, to put this list together. Throughout the year, ideas will form, or plants will be seen and coveted, and notes will be taken, so now is the time to bring them all together. I love choosing new varieties too, so all this takes a ridiculously long time. Once the list is complete, then there has to be a 'stock taking' exercise of all seeds currently owned. It is amazing how many packets are already sitting there, in the drawer, just waiting to be planted. Some may be 'out of date' by a year or two, but I think it is always worth sowing them to see if they germinate, and they usually do, even if the hit rate isn't as high as it is with fresh seed. My seed list is currently under construction and I have done my annual 'stock take' to see what is already in my possession, and what I need to buy. I have already done quite a lot of seed sowing for this coming season, and have planted young plants out - 'Sweet Williams', Foxgloves 'Silver Cub' and 'Alba' are already bulking up well, while young white Lychnis, Sweet Peas and Sweet Rocket plants will get cracking in the Spring. I will be sowing all my usual favourites this season - Dahlia 'Bishop's Children'; Ricinus, lots of different sized Cosmos, coleus, Nigella, sweet peas (I sow autumn and spring), tomatoes, chillies; squash, peppers, courgettes, aubergines, peas and beans. 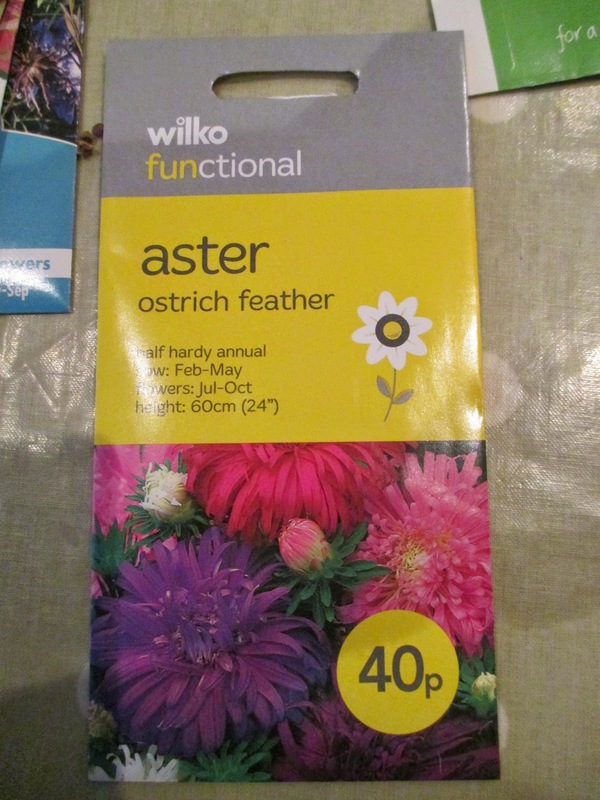 Attempts at new things will include Asters, which are an unknown quantity for me. Helichrysum, which will be a bit of a leap of faith as I bought my first plant last year and it flowered for ages, and the dried flowers are still a bright splash of yellow in the winter garden. The one I grew was floriferous but very leggy, so I'm hoping that the ones I grow will only have the flower power. I don't know how these plants have passed me by for all these years, especially when it says on the packet that they are "easy to grow". 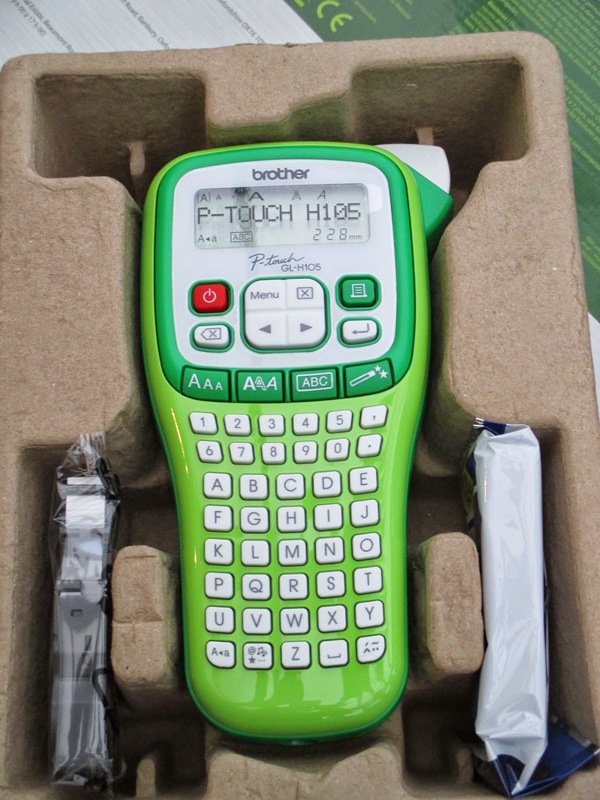 My other garden present was a Brother garden Labelling machine, which I am hoping will solve ALL my labelling problems. It works with a tape, and prints out what is typed in, on sticky backed plastic film. This can then be stuck onto labels, or whatever surface is chosen. I haven't given it a trial run yet, but I will report back when I do. Every labelling method I have tried so far has been a dismal washout - literally. I am hoping that this new labeller will give me labels which do not fade EVER. You can keep your diamonds and pearls, your excellency, give me something special for the garden every time ! Our big list to the main seed company has gome now we have the supplementary lists to sort out. Enjoy your new toys. Gosh I bet your lists are long Sue ! You must have a propagator the size of Yorkshire!! So that time of year is coming round - seed ordering along with summer dreams to while away the rest of the winter. Hi Elaine, and what a lovely job it is, one of my favourites - so much promise infall those little packets. typo ... " in all" !! Hi Amy, I will have to look up Helipterums as I don't know what they look like ! Have you grown any Helichrysums before ? 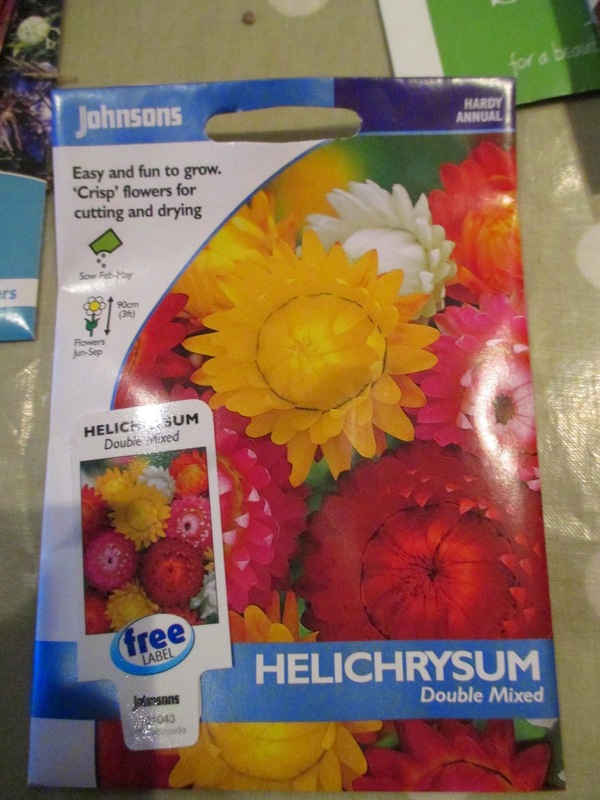 I did grow Helichrysums once before - the same year I tried the helipterum ;) I enjoyed both - they were easy and floriferous - and I've always wondered why I didn't keep growing them... maybe now! As I recall, my helichrysums were a bit leggy too. Dear Jane, you got two really nice and useful gifts for your garden, yay! 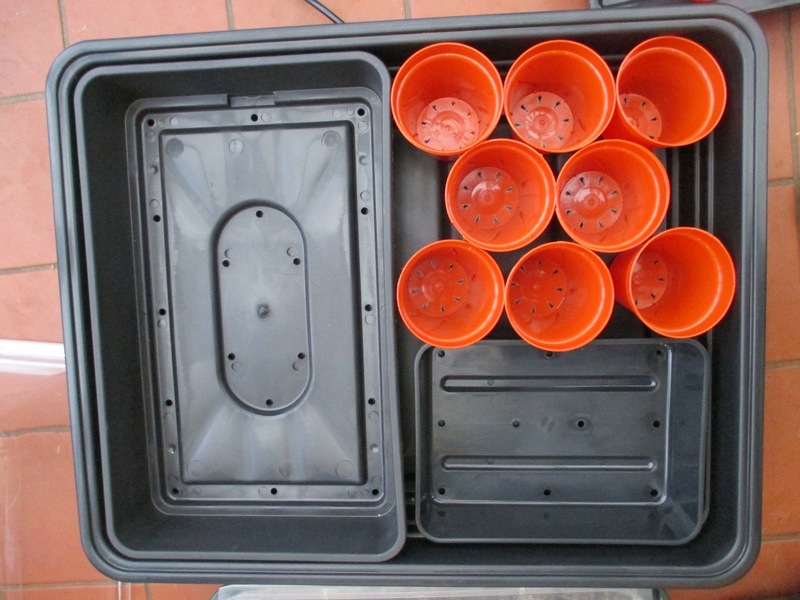 I almost envy a little bit about the propagator. What a great thing to have. I am sure you will make good use of it. As for the labeling machine: We have a similar machine that we label things with that we use in the house and it is great. I am curious if the labels of your garden labeling machine will stand up to the weather and I hope you will let us know in the future. I am like you, I love gifts for the garden, but I love pearls and diamonds, too. I don't think it need to be either or ;-)! Wishing you a lovely rest of the weekend! Hi Christina, I will be interested to see if the labels stand up to the ravages of the weather too. It claims that they do on the website but only time will tell. What a great thing of Santa to give you the presents you wanted so much. I always use a propegator to get more fuchsia's. Helast my garden is to small to put in new plants. Hi Marijke, do you grow your fustian's from cuttings or seed ? I have grown them from cuttings but have not had a great success rate. Do they need quite a high temperature to root ? Hi Mark and Gaz, I have got so frustrated with fading labels, particularly for my rose cuttings, as I often have to identify variety from the leaves and habit which can be hard. 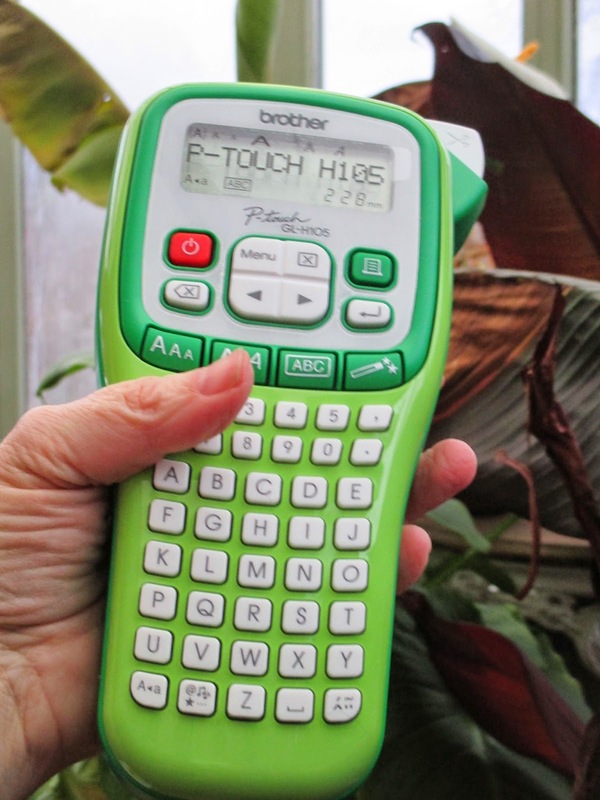 Great gifts, I am interested to hear how the plant labelling machine works as this is an on going problem in my garden. I can usually work out what things are but snowdrops are always a headache. Are you going to share your seed list with us? Hi Chloris, I agree, I can usually work out what the plant is by looking at it, but I forget the variety. My labels always fade in such a short time, that I am hoping this garden labeller is the answer to my problems ! You really got the right presents, I am also interested in the labelling machine, my labels are always fading away, a nuisance. I have sent my seedlist already and as always looking forward to receive the package with excitement, but .......I have many packets of old seed too, sigh...... Help my garden is too small, or how shall I say my eyes are bigger than my garden. Hi Janneke, I am the same, I always grow far too many plants and then I need to look around for places to plant them. Oh now they look like most exciting gifts Jane and much superior to any bling or smellies. I'm about to make a reccie of the seed boxes tonight. I've had a 'Brother' labelling machine for several years. It's not as snazzy a colour as yours but it's a fantastic machine regardless especially if you want long lasting labels. Hi Anna, you are the first person I have come across who has one ! I am so glad to hear that you find it so useful. Is it expensive to run ? 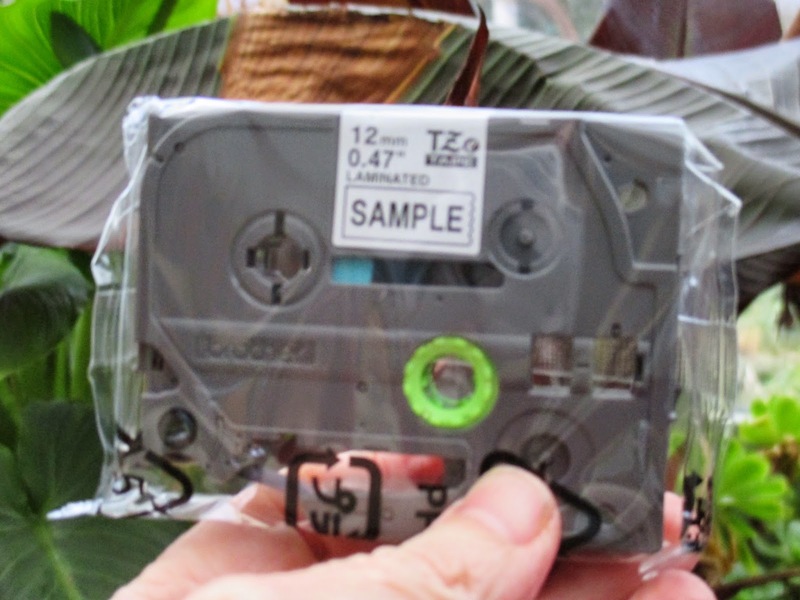 Do the cassettes last for quite a long time ? I love gardening gifts, the more useful the better in my eyes. You a couple of beauties there Jane. The labeling machine, like many above, is one of interest. I shall be keeping my eye on how this performs for you. You certainly sound organised in so far as identifying which seeds you want - good luck with sourcing them. I wish I had the patience to do more seed. I'm far too lazy in that respect. Hi Angie, I will be reporting back about the labeller - death to faded labels, I say ! This just might be the way forward ! Ah, lucky you! Enjoy your new perfect gifts. You will be busy, in a great way! Thankyou Plantpostings ... we will all be happy busy soon ! Few more weeks ! They are all ideal gifts for a gardener but I especially envy your Brother garden Labelling machine. I look forward to your report about it. If it works it is a gift I would very much like to get. I have yet to find a marker that does not fade. Hi Alain, I agree! I have tried so many different pens and labels and they have all faded. I have high hopes for this, but I wonder if it will be a little expensive to run. If the labels last for years, however, it would be a sound investment. I'm envious. 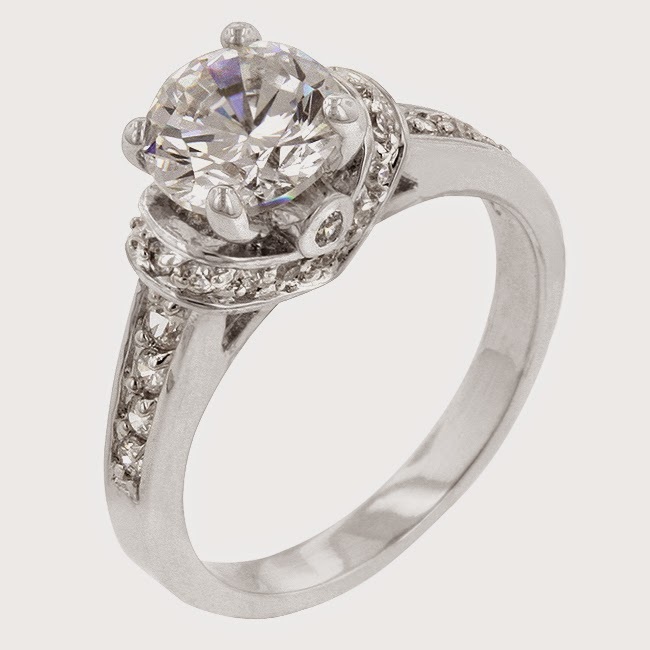 I did get a diamond ring one year at Christmas but it was sensibly packaged in a new compost bucket. Cute post and how you opened it with humor. I too am not much for diamonds and prefer anything that gets me in nature, (or gardens since I am a designer). Thanks for your comments! Anything which gets us out into the Great Outdoors is good, as far as I am concerned. Great post and signs of a true gardener...I relate! Happy New Year to you and have fun with all the new toys! Hi lee and thank you. Can't wait to get out there again and start using my new toys! Hi Rick, you can never have too many pairs of secateurs ! pruning saws ... mmm ... 1 is fine for me, but maybe I am missing their allure !! Oh snap! I got a propagator too! 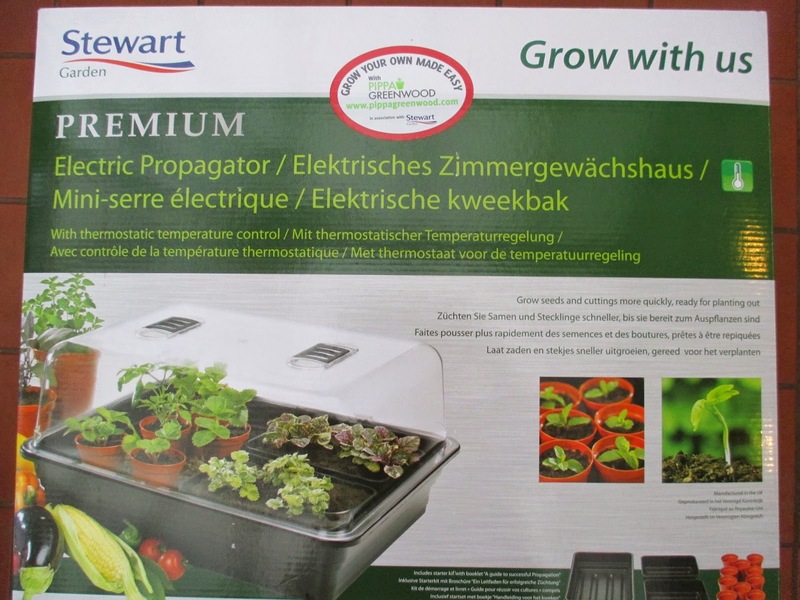 But I had to buy it myself…..I got a windowsill version, with 7 trays about the size of your smaller ones. Mine is also electric but without a thermostat, I have never used one so will have to keep an eye out for the temperature as it gets warmer and sunnier. Soil thermometer is already in place. And your labelling machine looks interesting too, I still use white sticks and pen, but they do fade after a few years. I saw your question about fuchsia cuttings to Marijke, I never take my fuchsia cuttings indoors, too hot and dry for them. They stay outside all year round and I take cuttings in all months apart from December and January. But I live in London…..A cold frame or cold greenhouse would be more than sufficient for you, or even a second propagator, placed next to a wall where there is a radiator on the inside – no electricity needed. I have a variety of fuchsias, some only hardy down to 5 degrees, they are all fine in my garden, even as cuttings. Hi Helene, I have looked at those windowsill propagators and coveted them! They look so practical! thankyou for your fuchsia wisdom, I will take your advice and try some cuttings as I could put them in my cold greenhouse in early spring. London must have a magic microclimate, and exist in a different universe to the rest of the country as 'hardy down to 5 degrees' survival is something I can only dream about ! Great gifts.. I look forward to see how you get on with the labeller.. I'm interested in getting something like this as all my labels on my seedlings last year faded and I couldn't tell what some of them were..
Hi Julie, same with me! I get so frustrated when I have labelled carefully and then there is nothing left to see after a couple of months. I have tried every pen and label with no success so hopefully this little machine will be just the jobkins! Hi janet, I am desperate to get growing too ... not long to wait Janet! I love seed list time. 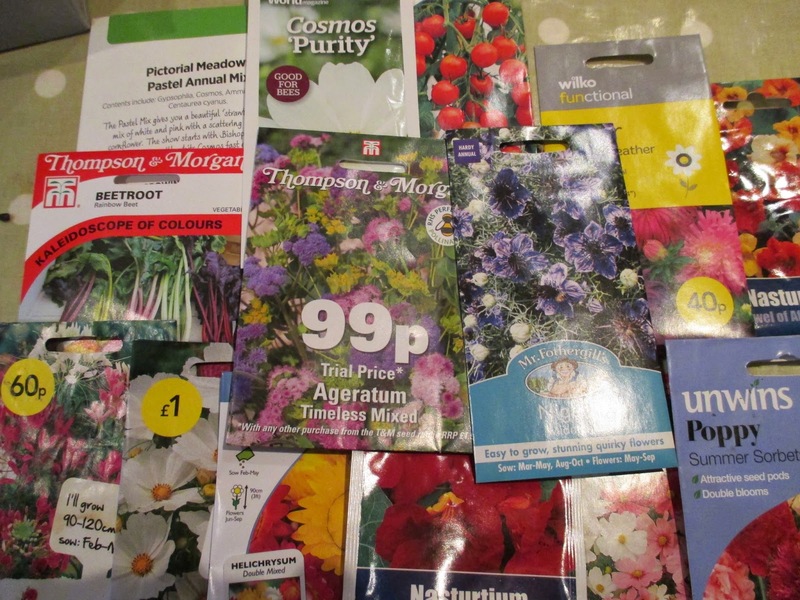 This year I have taken advantage of T & M's '10 packets of seed for £10' deal. It is on all their flower and veg seeds and I genuinely saved £40 . Wonderful gifts, just what a gardener needs, you are certainly have fun with them both! I will look forward to hearing about them.